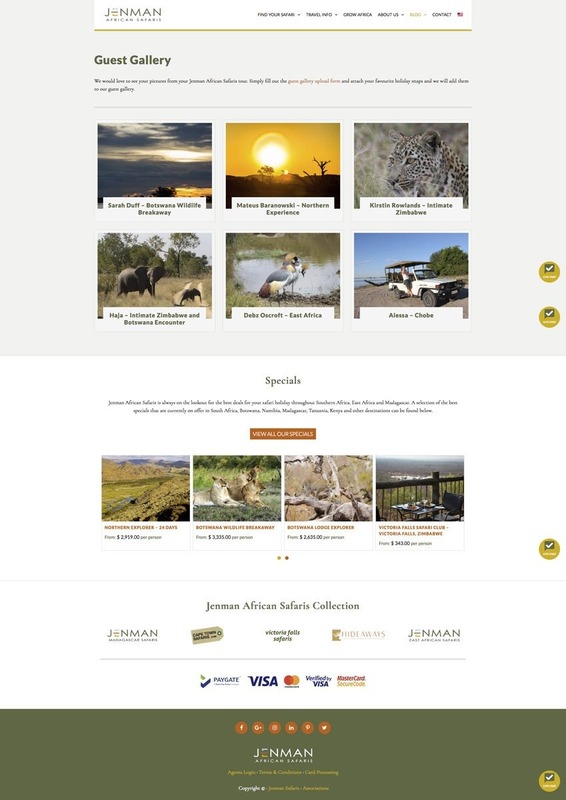 Built on WordPress, WooCommerce and Multilanguage (WPML) – the primary booking and informational web portal for Jenman African Safaris Tours. Focused on driving direct sales and brand awareness. 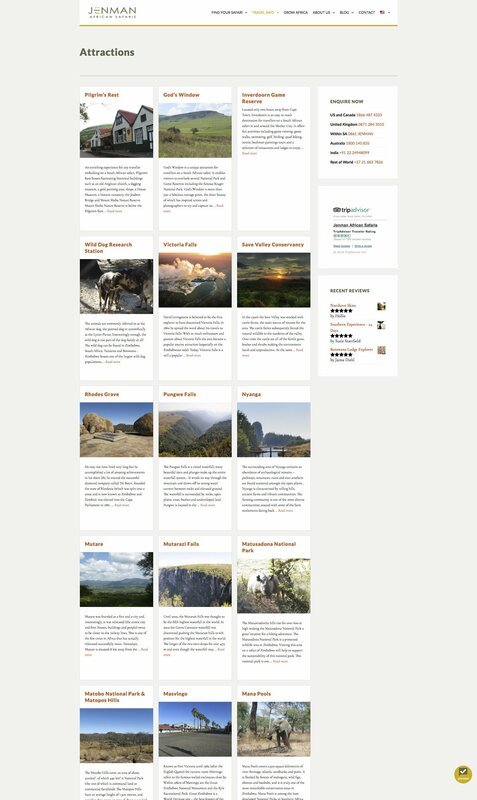 This was a redesign of their existing website with a fairly large data migration from their old CMS (content management system) to a modern one, in this case, WordPress. 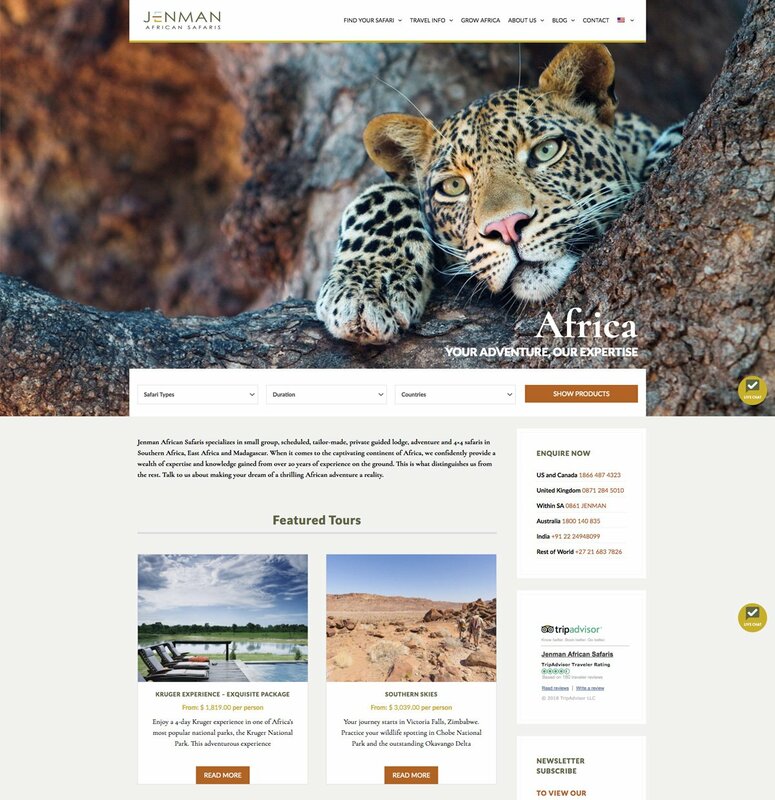 Multi-Language, currently serving English as a primary and German and French as secondary languages, multi-currency and required a live update system for their tour availability.